Swaraj Abhiyan welcomes the clarification by Chairman of the Law Commission that the Commission is looking at reform of family laws across all religions and not at one, uniform law for followers of all religions. Though it does not remove doubts about the ruling party’s political motives at raising this issue at this stage, the clarification by Justice B S Chauhan in an interview published in the Indian Express today helps to open up a meaningful debate. Over the last one month, Swaraj Abhiyan has taken several initiatives to begin a constructive debate on Common Civil Code. Our widespread consultations on this issue reveal that there are four preconditions for a constructive dialogue on reforming the civil code. The Chairman, Law Commission’s clarification, is the first condition: a clarity that a “Uniform” Civil Code need not mean one set of family law that replaces all the existing personal laws. Two, there is a need to address the fear that the personal law of the majority community is not the norm or the template for ‘reforming’ the family law of all religious minorities. Three, a serious discussion on this subject requires a full draft proposal to be placed in the public domain. Finally, there should be an assurance that the final decision will be taken through dialogue and in a spirit of consensus rather than imposition of a majoritarian will. These points emerged from a national seminar organised by the Aman Committee of Swaraj Abhiyan in Delhi on Sunday, 13th of November and wide ranging consultations before and after this by the National Convener of Aman Committee, Mr. Adil Mohammed. The seminar was attended by a cross section of intellectuals and community leaders including Dr. Zafar Mahmood from zakat foundation, Ramzan Choudary from Moulana Javed Jamiatul Ulema e Hind, activist Vevak Srivastav, Amer Hyder and Hilal Ahmed. Speaking at the seminar, Mr Yogendra Yadav, the National President of Swaraj India, pointed to a deficit in secular response to the Uniform Civil Code debate. Time and again, the established secular politics steps into the trap laid for it by the BJP. The ruling party has begun this discussion on triple talaq and Uniform Civil Code in order to polarise voters in the coming elections. The predictable reaction of ‘secular’ parties and several Muslim organisation has helped BJP achieve what it set out to do and reinforced stereotypes about Muslims as regressive and anti-women. He said that secular Indians should embrace the idea of a common civil code — with common principles but differentiated laws for each community — and come up with a concrete proposal in this regard. He said we should have paid greater attention to the dangers of the proposed amendments to the Citizenship Act that gives religious basis to citizenship. Ms. Noor Jehan Niyaz of Bhartiya Muslim Mahila Sangathan (BMMA) said she sees a remarkable resonance between Indian Constitutional and Islamic values. While opposing a ‘uniform’ civil code, she argued for codification of Muslim personal law to redress injustice to women like Triple Talaq. BMMS had proposed a draft of personal law for Muslim women with possibilities of arbitration and reconciliation in the clause for marriage. Intead of merely blaming the Government, the community needs to introspect too. Endorsing her position Mr. Irfan Engineer from CCC Mumbai said founding values for a Civil Code should be equality and democracy within family. Ms. Uzma Naheed, former member of All India Muslim Personal Law Board insisted that Islam gives women more power than men. She regretted that in our times, a direct connect between social leaders and the masses has been severely compromised leading to grave misconceptions. Noted Islamic scholar and former member of AIMPLB, Mr Zafarul Islam responded to many widespread misconceptions about Muslim personal laws. He clarified that Triple Talaq is not sanctioned by the holy Quran. Peole normally mistake fikr as shariyat. Prof. Saleem Engineer, General Secretary of Jamat-i-Islami called our Constitution a wonderful, insightful document that lays the foundations of a beautiful society, allowing a coexistence of unique identities. He questioned why the issue is only brought up around elections? Why isn’t there a draft after even after 70 years.. calling the whole thing a ‘bin dulhe ki baraat’ (a wedding procession without a groom). 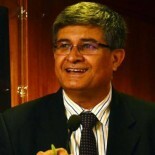 Mr. Zafarul Islam Khan, fmr. President, All India Majlis-e-Mushawarat, emphasized the importance of never disengaging from dialogue. He wondered why there was a rush to implement the Directive Principle on Uniform Civil Code while most other stronger provisions were yet to be taken up seriously. Civil Code was an intricately and sensitive matter and questioned the Central government’s intent. He pointed to deeply oppressive edicts across all religions that warranted reform. It may be recalled that the Swaraj Abhiyan has supported the idea of a common civil code and has called for an open, inclusive and democratic dialogue about its content, so that it does not become a pretext for imposition majority religion and its practices. Constitutional values and gender justice should be the cornerstone of a fair and just common civil law. Mr Adil Mohammed thanked the participants and announced that Swaraj Abhiyan will continue consultation with like-minded secular organisations so as to come up with a draft of an alternative. This entry was posted on November 28, 2016 by adilmohammed"blog in Uncategorized and tagged Adil Mohammed, Aman Committee, CCC, Prashant Bhushan, Unifrom Civil Code, Yogendera Yadav, Zafar Mahmood.